I’ve been reading Sheldon Harris’ Factories of Death: Japanese Biological Warfare, 1932-1945, and the American Cover-up. (Rev. ed, 2002), considered the definitive book on biological warfare in the Pacific theater during WWII. My primary interest is in Japanese research and use of plague in their biological warfare program. Since this blog is, in part, a research tool, this post is a collection of notes taken specifically on the plague, though the book covers a much wider program. If you ever wondered why plague is a category A bioterrorism agent, what follows will go a long way in explaining. 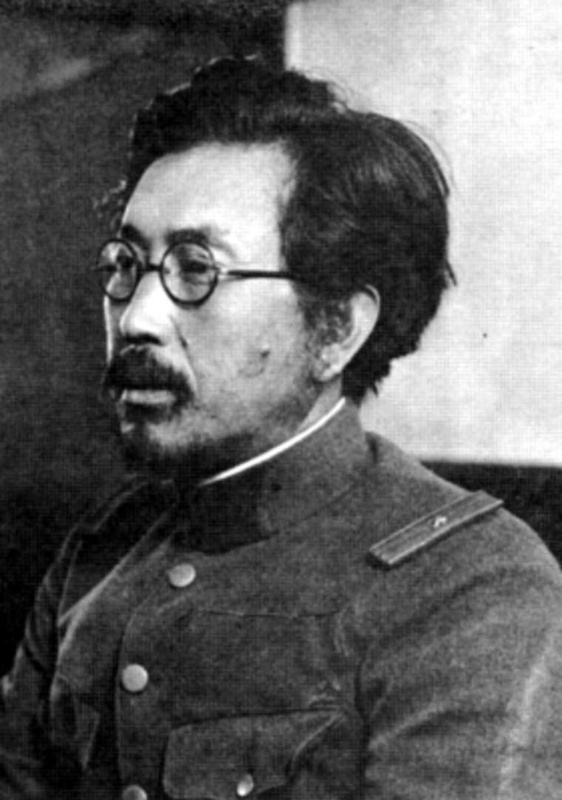 Lt. Gen. Shiro Ishii (1892-1959) of Unit 731, the biological warfare unit of Imperial Japan. Lt. Gen. Shiro Ishii was the primary organizer, promoter, and director of the Japanese biological warfare (BW) program. He was involved at all levels from pitch-man to the Japanese military and academia to personally supervising research on human subjects. He began his work research on the potential of biological weapons in the late 1920s. One of Ishii’s first facilities was called the Zhong Ma Castle in Beiyinhe northern Manchuria. Initially, their test subjects were trouble makers among the Chinese population: criminals, communists, and other suspicious persons. Ishii began by focusing on plague, glanders, and anthrax. Subjects were injected with the pathogen and the course of their disease was monitored; all were extensively autopsied. (p. 33-34) There are numerous reports of autopsies being carried out on the unconscious, as in not yet dead. 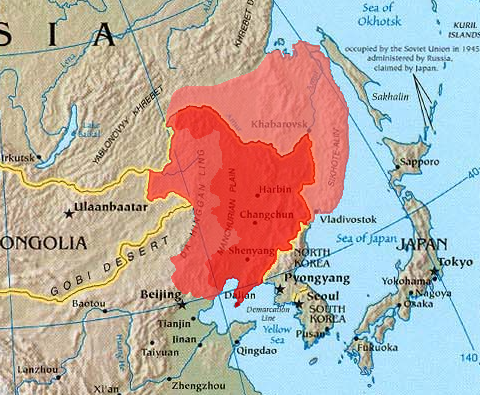 In 1939 the stressed Japanese military allowed Ishii to send several BW attacks against Soviet forces in the Nomonhan region. Details of the mission refer to the contamination of water supplies with typhoid but plague, cholera, and dysentery affected both Japanese and Soviet troops during the campaign. Harris is unclear whether these were effects of biological weapons operations or naturally occurring outbreaks. (p. 97-98) In 1942 a Soviet defector to Germany claimed that Soviet biological weapons were field tested during combat in Mongolia (/Manchuria) and that there was a major plague epidemic at that time. (p. 98) With both sides attempting biological warfare and with the level of technology at the time, it is unlikely that it will be possible to unravel the outcome of either the Japanese or Soviet efforts. The Japanese BW program was developed primarily with a future war against the Soviets in mind, as Japan planned to take land north of Manchuria. The intent of the BW program was to give Japan an advantage over the vast population and natural resources of China and the Soviet Union. Unit 731 gave special attention to the plague, spreading plague infected rats widely throughout China and experimenting with spreading the plague through fomites like contaminated fountain pens or canes. When a full-scale epidemic broke out, Japanese soldiers would force an evacuation of the village and burn it to the ground. An American missionary Archie Crouch reported seeing Japanese planes drop odd bombs that spread what looked like wheat over the city of Ningbo and plague erupted just days later. Chinese officials tried to combat the plague with isolation, quarantine and burning the most infected part of the city but over 500 people died of the plague and other agents spread by Ishii’s forces. Outbreaks of plague continued in the region of Ningbo until as late as 1959 (p. 101-103). The city of Quzhou was also subjected to bombs that scattered, soy beans and rags contaminated with plague, cholera, typhoid and possibly anthrax. Bacteriologist Qui Mingxuan lived in the city as a child and put the death toll for the six years after the first plague outbreak in 1940 at 50,000. Qui noted that there was no history of plague in Quzhou before 1940. (p. 102) In August 1942 plague was sprayed over the village of Congshan in the Zhejiang Province. Rats began to die in droves two weeks later and over the next two months, 392 out of 1200 residents died of bubonic plague. (p. 103) For unexplained reasons, after 1942 Unit 731 stopped large field tests and began to concentrate on more direct human experimentation in controlled environments. Harris estimates that by the end of 1942, “the casualty count in the open tests surely fell into the six figure range” (p. 104). At the Anda test facility in northern Manchuria, Chinese test subjects were tied to open air stakes and bombs containing either an anthrax slurry or plague-infected fleas were exploded around them in an attempt to infect them. There is some evidence that anthrax worked slightly better than the plague because the fleas did not handle the exploding bomb well (!). By 1944 they were working on developing means for spreading pneumonic plague and other respiratory pathogens. Fortunately, they were still unsuccessful by the end of the war. (p. 88-90) Ishii would later brag to US war dept. interrogators that he developed a porcelain bomb that successfully disseminated plague (p. 247). At the beginning of the war, the American biological weapons program was the least developed of all the major combatants. The US military was eager to repair this deficit. American offensive and defensive biological warfare research began at Fort Detrick, Maryland, in 1942. The plague was one of many different pathogens worked on during the war. (p. 210) After the Japanese surrender, American officials were much more interested in extracting intelligence from cooperative Japanese researchers, including Shiro Ishii, than in pursuing justice for the Chinese or even American POWs that were victims of their experiments. To ensure cooperation Shiro Ishii was given immunity from prosecution and no one was ever brought to the war crimes trials in Tokyo for biological warfare. I will leave issues of justice and the cover-up to journalists and political historians. I do have to take issue with Harris’ assertion that Shiro Ishii was a good microbiologist. He may have been a good pitchman, organizer and military man but not necessarily a good biologist or physician. First, I can’t accept that anyone racist enough to mentally justify this work was a competent biologist, much less a physician. Designing and carrying out these ‘experiments’ are the sign of an unstable mind. Methodologically, ‘try absolutely everything you can think of and something might work’ is not good science, not even in wartime. Even if allied programs did similar things, it is still not good science. He thought more like an engineer than a biologist. The innovation that started his career and gained military attention was the development of a water filtration system to prevent cholera for the military. From a strategic point of view, biological weapons were incredibly risky in the 1940s before the discovery of penicillin and other effective antibiotics. The Japanese military actually had to reign them in out of fears of blow-back. Considering what the Japanese military was willing to do during World War II, this says a great deal. Thanks for an informative article about this aspect of biological warfare. I had heard of Unit 731 and knew of their experiments on prisoners and the like (e. g. the frostbite experiments) but didn’t know that they had spread their experiments to villages and large populations. This is bone chilling. I was surprised at how far they got. This is only one pathogen. I think they did nearly as much with anthrax and typhoid.